A gaijin visiting Japan on a tourist visa has tragically died after convincing himself he should “at least try some natto”. 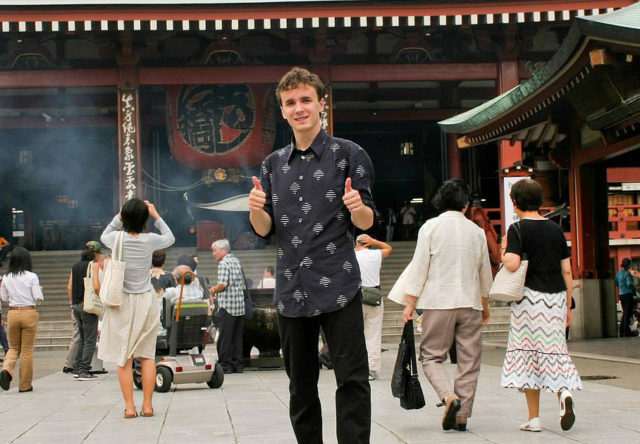 Bruce Packer, 25, acknowledged that the fermented bean did indeed smell like rotting eggs that had been digested, excreted, and then repackaged for refrigeration, but that didn’t stop him from wanting to “experience everything” whilst visiting Japan. Soon after the natto made contact with Packer’s palate he quickly began to lose the will to live. Packer fell onto all fours and crawled to the corner of the hostel room before assuming the fetal position. Anyone who has an inquisivite attitude and forced themselves to try natto, will sympathize. Bless him. Hard to believe that natto killed him. It is a health food made with fermented beans. You’re aware that this is a parody news site right? Shove it, nattōs awesome ? Sounds like my response to just smelling stinky tofu. Blechh. Natto is like Vegemite for Japanese. Awesome goodness. Great in miso soup, on rice, on sandwiches with vegemite, and for the best Sunday breakfast put some natto in an omlette topped with some katsuobushi.